We launched UpThemes over 5 years ago with the goal of providing WordPress do-it-yourselfers a simple path to a beautiful, effective website. WordPress themes offer a great head start for businesses who know what they want but don’t have the time or the skill to design and develop custom themes themselves. Our goal has always been to take things a step further to give WordPress users better resources, themes, and training. That’s why we find ways to partner with companies like WP101, Beaver Builder, and Aesop Interactive to provide more value to our customers. Today, we’re excited to take things one step further. We are excited to announce UpThemes Hosting, a managed WordPress hosting solution that includes 40+ premium WordPress themes including our entire theme library, all themes from the collection of Aesop Interactive (makers of Aesop Story Engine), as well as a curated selection of beautifully-designed themes from WordPress.org. As of today, we have released a “Starter” plan which includes one WordPress website for just $20/mo. The Starter package comes with over 40 curated themes pre-installed including our entire collection, the entire Aesop Story Engine theme library, and some of our favorite themes from WordPress.org. For more details and technical specifications, learn more about UpThemes Hosting here. We’ve been doing this a long time. The one thing we’ve learned over the years is we’re not just selling WordPress themes, we’re helping business owners and bloggers get technology out of the way so they can focus on creating content. With UpThemes Hosting, we remove all the barriers of buying a WordPress theme. No theme installation, no compatibility issues. Access all our themes for one low monthly price. You can even install your own themes or plugins. Get all the power of managed WordPress hosting plus a curated set of themes to choose from. 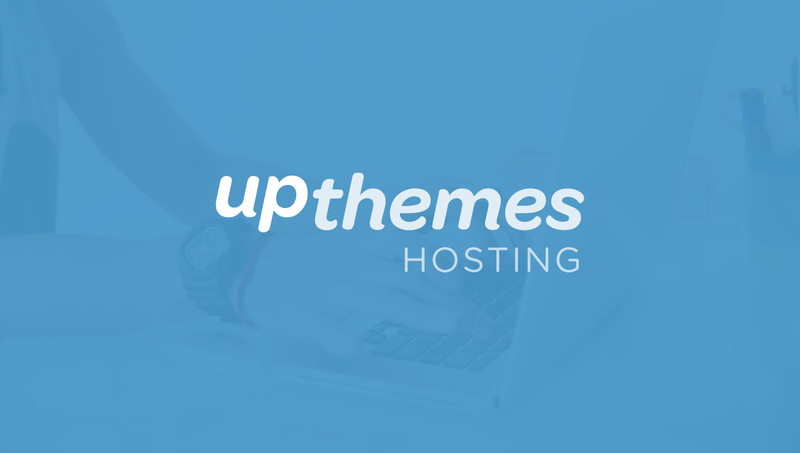 Ready to make the switch to UpThemes Hosting? Our team will migrate your website for free. All you have to do is sign up for hosting and we’ll give you all the details on our white-glove WordPress site migration. Questions? Feel free to email us or learn more about UpThemes Hosting. Congrats, guys. And good luck! The price is certainly attractive. Can you tell us a little more about the infrastructure behind the hosting? Is it using Amazon AWS perhaps? Or Linode? Or do you yourselves own and operate the servers? Thanks, Brin.